After a day of shopping, you don’t have to let the fun end. Pier Park has many exciting attractions for visitors of all ages and interests. Take in the latest blockbuster at the Grand IMAX theater. With stadium seating, high-back rocking chairs, you can kick back and relax while the wall-to-wall screens, digital sound, 3D capabilities, and DBOX MFX motion seats take you on a thrill of a lifetime. What would a movie be without snacks? Never run out with free refills on any large popcorn or large drink. If you’re celebrating someone’s special day, Grand IMAX at Pier Park offers birthday packages so the whole crew can come. 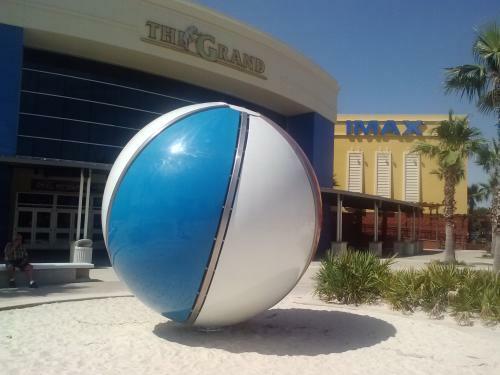 Whether it’s a family outing or your regular date night, the Grand IMAX at Pier Park has the best theater experience in Panama City Beach. Who wants to just watch a movie? At the XD Darkride Experience, you don’t just watch a movie, you experience it with all your senses. This state-of-art theater brings together jaw-dropping visual effects and sound technology to create thrilling sensations just like you are transported into the movie. Any jumping, crashing or falling...you feel it too! Have you ever experienced a movie in 7D? XD Darkride Experience takes a 3D movie and puts it on steroids. Experience stunning special effects, wind machines, strobe lights, and rapid motion seats and become one with the movie. If gaming is your passion, compete with 16 other riders to battle the bad guys. Armed with laser blasters, you and your friends can annihilate the enemy. XD Darkride Experience has movies and games for all ages, and you can experience everything from zombies, to werewolves, to robot cowboys. 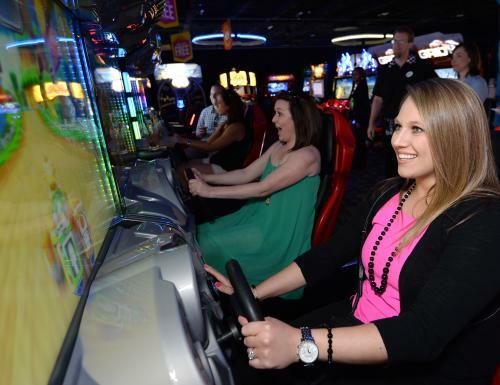 When it comes to having fun under one roof, Dave and Buster’s is a great pick. If your jam is old-school games like Pac-Man, Super-Shot, or Skee-Ball, they’ve got you covered. Or take a stroll through the Million Dollar Midway if you want to try the newest games. You also don’t have to worry about missing your team play. With tons of HDTV’s and stadium sound, Dave and Buster’s makes it easy and fun to watch your team make that winning play. Of course, playing all those games can work up an appetite. Power up with mouthwatering burgers, ultimate mac and cheese, or next level smoked BBQ ribs. Dave and Busters also has a full bar, so you can enjoy a delicious drink, like an Adult Snow Cone or an Island Punch, while you play. 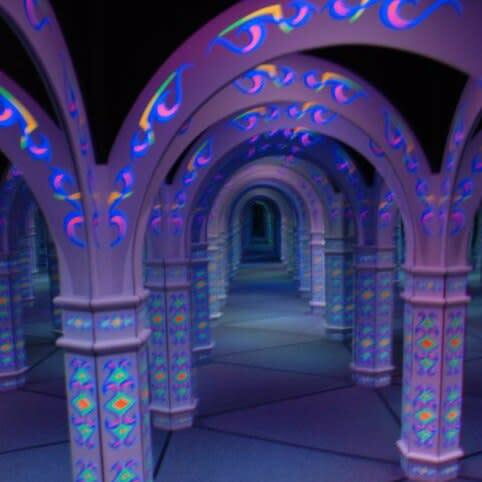 For even more fast-paced fun, the Emerald Coast Mirror Maze and Laser Tag, is the perfect option. Whether you have kids or are a kid at heart, your mind will be blown from the heart-pounding excitement. This 2300 square foot Maze of Mirrors, complete with sound and light special effects, will thrill and electrify you. After you master the Mirror Maze, give the Laser Challenge a try your hand at spy-level maneuvering. Channel your inner Catherine Zeta Jones in Entrapment or reenact that scene from Ocean’s Twelve to get your name on the high score leaderboard. If you prefer some friendly competition, head over to Pirate’s Quest Laser Tag. The 1800 square foot arena is your battlefield. We provide state of the art laser guns and vests--all you need to bring is your adrenaline. No matter what type of fun you’re into, Pier Park has just what you’re looking for. From families to couples, to birthday parties, there is something for everyone. Just bring your sense of adventure and let loose!